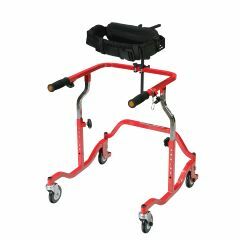 AllegroMedical.com presents The Trunk Support for Adult Safety Rollers. Trunk Support for Wenezelite Safety Rollers is a great solution for users with limited posture. The trunk support can support the torso at a desired angle to promote proper posture and gait. Comes in sizes Large or Small.